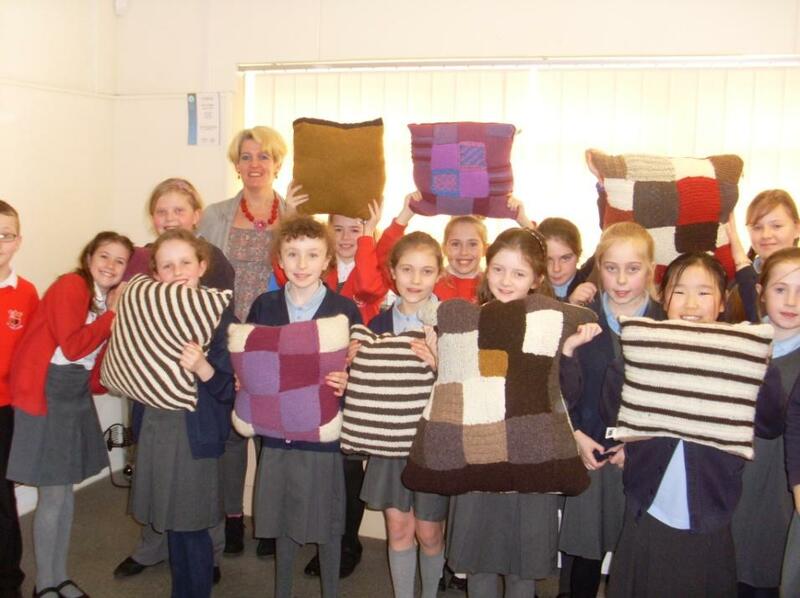 Three schools in Ormskirk have made cushions for Woolsack. These are Ormskirk School, St Anne's RC. Primary School and Ormskirk C of E Primary School. This is what Mary Walton, the organiser had to say about the project. And so, we began. The Woolsack Project people were so helpful in providing wool, stuffing and labels and we downloaded a few patterns, which were mainly used by the adult helpers at the groups. 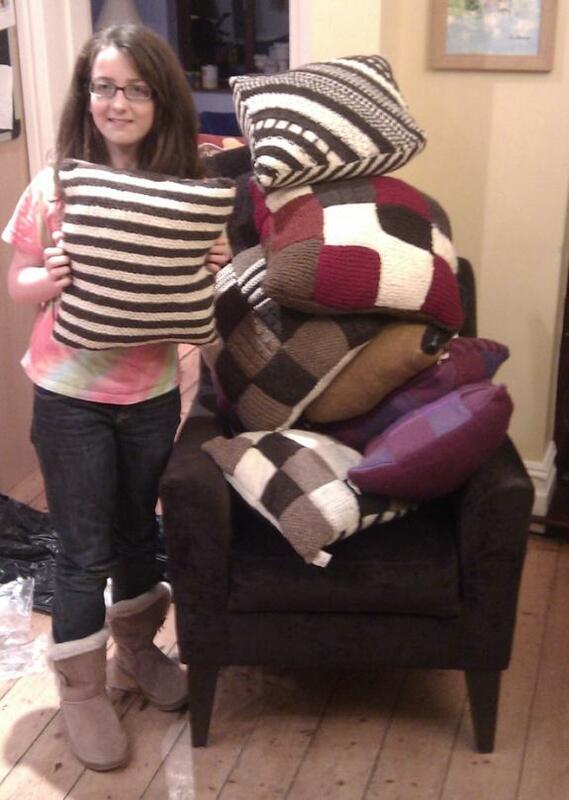 As the youngsters were knitting 10 (ish) cm squares and each cushions needed to be 40 by 40, we set ourselves a modest goal of making two or three cushions. 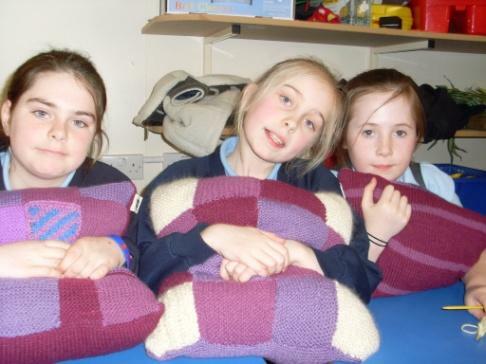 But as more people became involved and some of the more ambitious individuals knitted whole sides to cushions, the target was easily met and exceeded and in the end we have made 10 cushions. And we have definitely got the message across that they are made and stuffed with British wool. I plan to take my lovely sheep breed pictures (from the British Wool Marketing Board and the Rare Breeds Survival Trust) in next week, to show which sheep’s wool we have been working with.